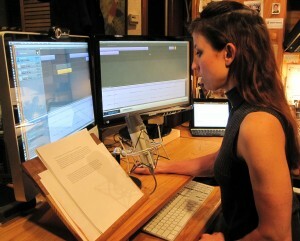 – The full-cast audiobook version of my first novel is available on Audible.com. 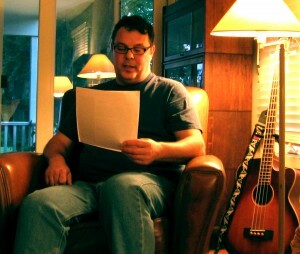 – Chapters are primarily read in alternating first-person point of view by Mark L Berry as Billy, Alison Leston as Lindy, and Christopher Madden as Dog. However, a total of 34 voice actors contribute to the audiobook version of this novel, and it’s infused with a dozen original companion songs. When Oso gets yanked off his motorcycle and killed by a closed parking lot chain, Billy feels guilty for having taught him to hop curbs and shortcut traffic lights. Billy’s survivor’s guilt drags him down a spiral of excessive alcohol, reckless driving, one-night stands, and body painting. He’s now all too aware that life is short—play hard. Meanwhile, Oso’s former girlfriend Lindy pours her grief into her new folk-rock album as she struggles with whether she can ever let herself love again. Can she turn this personal tragedy into something meaningful through her music? 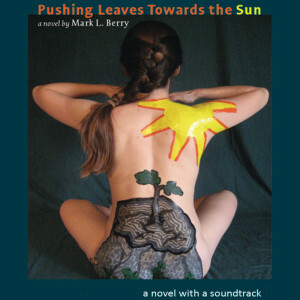 Pushing Leaves Towards the Sun explores survivor’s guilt and grief through reckless adventure, a dozen original songs, and fiction. When you’ve lost someone you love, there are no easy answers. This novel is intended for adults. It includes some graphic language, sexual situations, and questionable behavior. Recovery from intense loss is a rough road—100 miles-per-hour on two wheels with no regard for oncoming traffic, as an example. 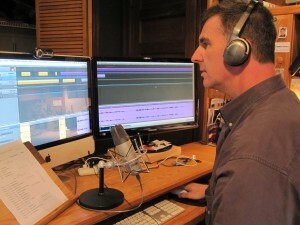 A dozen original songs are developed and woven into this audiobook.